Description: Married? The only safe and reliable form of birth control is NFP. 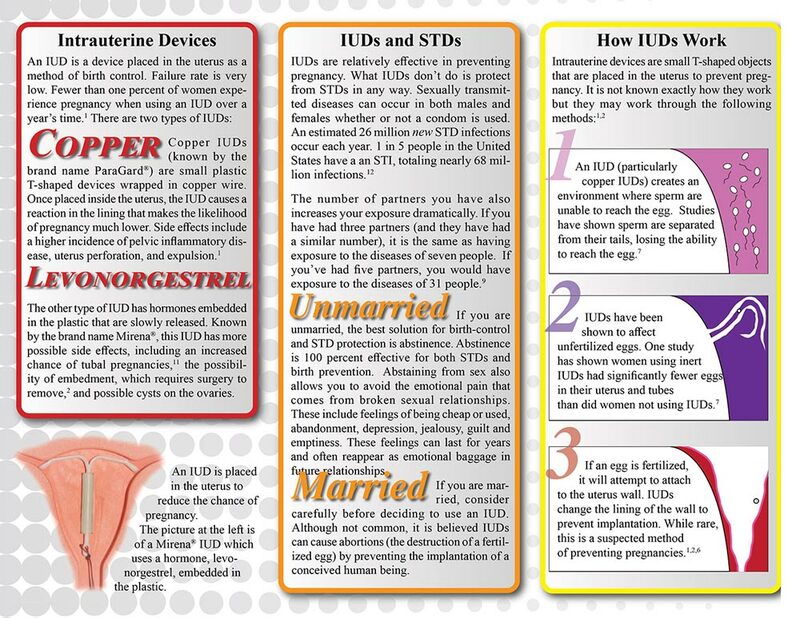 IUDs have proven to be reliable for the prevention of pregnancy, but there are some health risks and they do not prevent the spread of STDs. 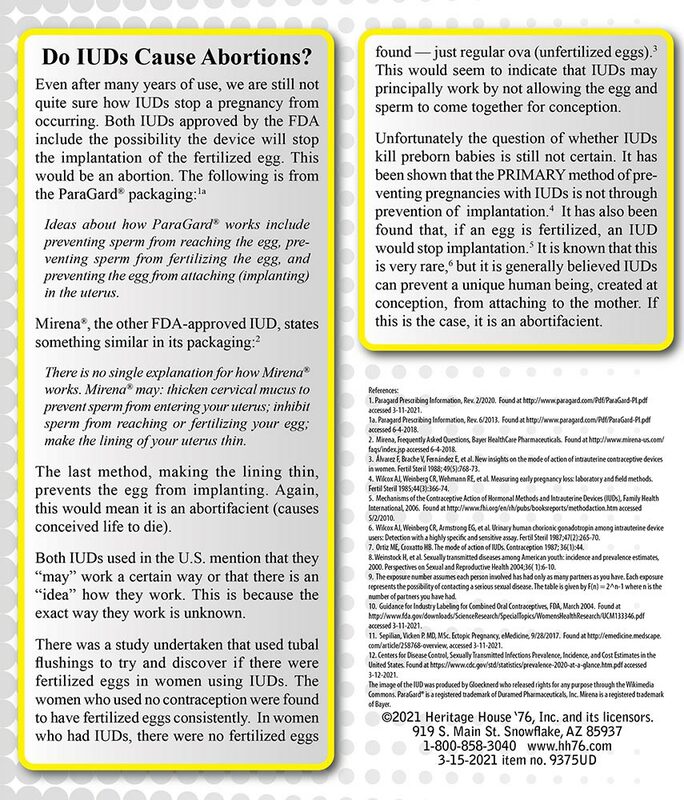 There is some question about how IUDs accomplish their purpose. Each of these topics is discussed with documented facts and information. Clear and concise, easy read.